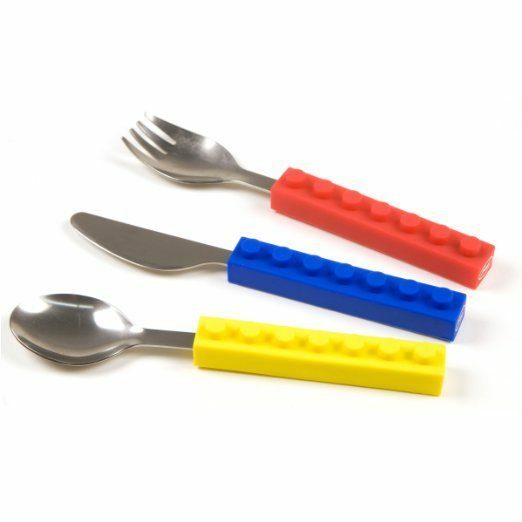 Kids Interlocking Brick Utensils Just $5.18! You are here: Home / Great Deals / Amazon Deals / Kids Interlocking Brick Utensils Just $5.18! How fun are these utensils? If you are an Amazon Prime member, you can get the Fred and Friends SNACK AND STACK Kids Interlocking Brick Utensils for just $5.18 (reg. $19.99). Shipping will be FREE! This set includes a knife, fork, and spoon. The pieces are made of steel with silicone handles. These utensils feature interlocking handles for easy storage. The utensils are ideal for lunch boxes, picnics, your desk drawer, or glove box. Each dishwasher safe utensil measures 1 inch wide x 6 inches tall.